More often than not, the biggest challenge people face when trying to maintain the cleanliness of their home is just keeping everything neat. Everyone can take on the task of deep cleaning maybe once or twice a month, but mopping and sweeping up the floors on a daily basis can get tiresome real fast. That’s why it’s important for people to have the cleaning tool that will make everyday maintenance a breeze. In this case, what people need is the best robot mop for their home. If you are also interested in finding the robot mop that perfectly suits your home, please read on. What Is So Special about a Robot Mop? What Kind of Automatic Features Do I Need to See in a Robot Vacuum? What Is the Expected Run Time of the Robot Vacuum? The robot mops included are capable of making your lives significantly easier. They do have their own specific weaknesses, but those are mostly relegated to the background by their remarkably helpful features. Without further ado, let’s get to the robot mops that are well worth having inside your home. The item listed above is not exactly suited for working on hardwood floors because of its tendency to leave behind watermarks. 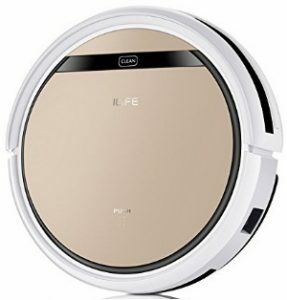 You need something that will take better care of those delicate floors and that’s what you’re getting in the ILIFE V5S Pro Robot Mop Vacuum Cleaner. While working on hardwood floors, you can expect this robo-mop to draw in the dirt and dust particles that are buried deep within the cracks without leaving water behind. After it’s done, you’ll end up with deep-cleaned floors that are also free from any lasting damage. It also features a decent amount of battery life. It can work over two hours with no issue and provide competent cleaning throughout that amount of time. The big issue with this device is that it struggles a lot with its routes. It features a tendency to work over the same places repeatedly even though there are other spots that need to be cleaned. You may also have to rescue this robo-vacuum quite a few times. Unfortunately, getting stuck is a recurring problem with it. Excels when working on hardwood floors. Can keep going for a decent amount of time inside your home. Possesses a decent amount of power that’s useful for picking up debris. Has a tendency to get stuck while working. If the Roborock device listed above is notable for its lack of high-end power and that makes it a poor fit inside your home, then maybe you will find the Roborock S5 Robot Vacuum and Mop more to your liking. The Roborock E20 features 1800Pa of suction power while the Roborock S5 improves upon that with its 2000Pa of suction power. Unleash this cleaning device on your home floors and just watch it get to all the small particles that have been scattered all over the place. On top of that, it can also switch between different cleaning modes. If you need to clean through your carpet, this device will be able to help you. It also features a low-noise cleaning mode which is going to be very helpful when you want to tidy up at night. You can also schedule specific working times for this robo-mop so that it can get to work even if you aren’t home yet. This robot vacuum is also capable of cleaning for up to 150 minutes on a single charge. Speaking of charging, this robo-vacuum oddly has trouble finding its charging dock at times. That can be really annoying to deal with, but it’s an issue you can live with if it means having such a capable robot mop. Has plenty of suction power to work with. Comes with a scheduling feature you can use if you want to clean up even when you’re not home. Will be able to operate for a while on a single charge. Possesses the ability to climb over some surfaces. May have some trouble finding its charging dock at times. Being busy is one of the reasons why so many homeowners favor getting robot mops over their more conventional counterparts. Instead of spending time mopping the floors, homeowners can just rely on the robo-mops to get the job done while they focus on something else. 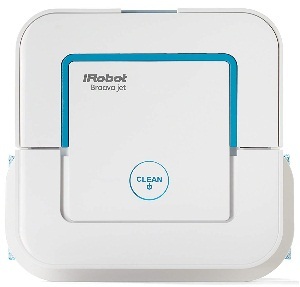 The iRobot Braava 380t Robot Mop is capable of working for you for a very long time. When it is in mopping up mode, this robot cleaner can keep going for 150 minutes. If you want to extend its battery life even further, you can set it to sweeping mode. While working in sweeping mode, it will be able to work for up to 210 minutes. With this robot vacuum working in your home, there will be no space that has to be left uncleaned. What I will say is that this device does have a bit of trouble when it comes to trying to mop in your home. It has a tendency to leave wet spots behind. If you have wooden floors, you may want to double check if wet spots remain after asking this robot vacuum to clean up just to be sure that no unsightly marks will be left behind. Capable of working for long periods of time in your home. Two different cleaning modes available. Can be used together with other types of cloths and cleaning pads. Navigation feature keeps tabs on where this vacuum goes. May leave some wet spots behind when it is mopping up. One of the risks that you have to take on when you buy a robot vacuum is that it may get damaged significantly way before you expect it to. Since you’re allowing these devices to work on their own with minimal supervision, you may not be able to save them if they go tumbling off an elevated surface or keep bumping into something. 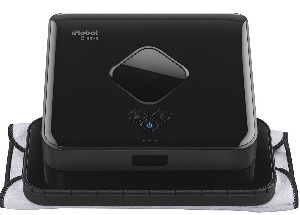 The folks at Roborock minimize those concerns by equipping the E20 Robot Vacuum Cleaner with 13 onboard sensors. These sensors protect the robot vacuum in a variety of ways. They protect the vacuum from sudden drops, collisions as well as cramped spaces that may be difficult to get out of. Some of the other sensors are not designed to protect the vacuum, but they do activate the self-charging and resumption features. This robot vacuum also possesses the ability to detect if it is about to move over a carpet and it will thus ramp up its power to account for that. Now, the issue is that this robot mop simply does not have that much high-end power to tap into. It will have some trouble trying to pick up debris around your home and it may need to pass over surfaces twice just to clean them properly. Thankfully, this cleaner has enough run time to complete multiple passes, but even so, lacking that high-end power is a real knock against this item. 13 sensors responsible for protecting the vacuum and improving its efficiency. Will adjust its power level to clean carpets. Comes with a large dustbin. Features a decent amount of battery life. Lacks the high-end power present in other robo-mops. Some people love to pack their homes with all kinds of stuff. We’re not talking about hoarding here. It’s more about wanting to maximize the space available and that’s perfectly understandable. The trouble with filling out your home that way is that it can be difficult to clean up. That’s where the iRobot Braava jet 240 robot mop can come in and prove quite helpful. It’s one of the smaller robot mops you’ll see on the market and because of that, it can really squeeze into those tight spaces and get to work. Thanks to the inclusion of the iAdapt Navigation feature, this robo-mop can also move better around the pieces of furniture you have in your home. It’s unlikely to get stuck because of its size and navigation features. The Precision Jet Spray and the Vibrating Cleaning Head turn this robot vacuum into a machine more powerful than what its size would hint at. It also comes with different kinds of pads that allow it to clean up specific debris better. Those pads also make it possible for this item to work on more types of floors. You won’t be able to count on this robot mop to be a heavy-duty cleaner though. Its expected run time lags significantly behind many of the other options available. It works great for daily maintenance, but anything more labor-intensive than that will cause it to struggle. Smaller robot mop that can work its way into tight spots. Features iAdapt Navigation that’s useful for cleaning around furniture. Bundled together with different pads that excel at different types of cleaning. Will automatically select the appropriate cleaning mode. Run time is way shorter compared to other robot mops. Obviously, the robot mop you’re looking at needs to be in possession of some impressive specs and features for you to strongly consider purchasing it. A robot mop that can last for a while on a single charge would also be a nice plus. Beyond those factors though, you will also have to pay attention to the current layout of your home if you want to ensure you get the robot mop that is most compatible with it. Even a robot mop with the most impressive specs may not be able to properly maintain your home if it’s simply incompatible with that specific type of environment. 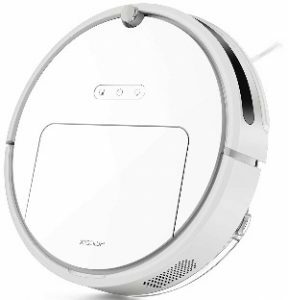 Essentially, a robot mop vacuum is the more convenient offspring of the more conventional vacuum. Another benefit of having a robot vacuum working in your home is that it excels at cleaning up those hard-to-reach spots. Because these devices are so compact, they can squeeze in under your couch or under the stairway with no trouble whatsoever. It only helps that these robot vacuums are getting better and better as the years go by, so they will likely become even more capable cleaners down the line. 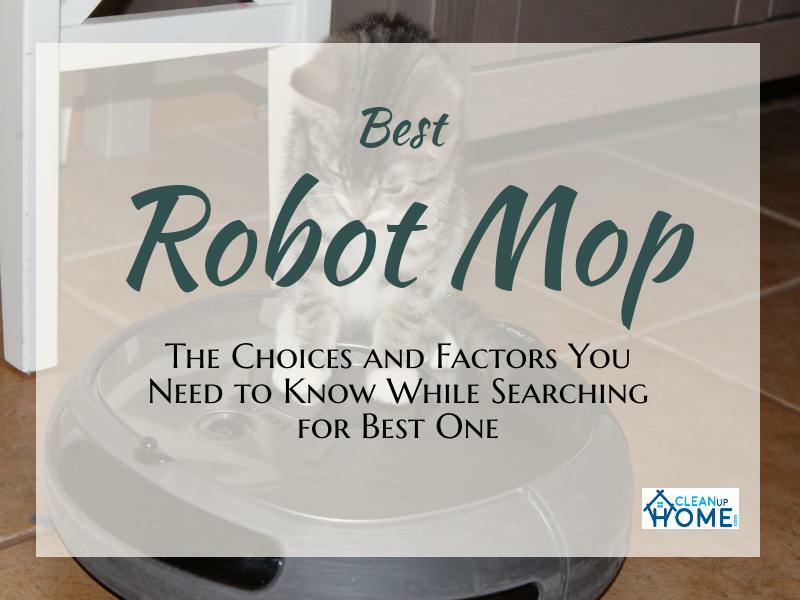 Before we dive into discussing specific aspects of robot mop vacuums, let’s first talk about the home and how it can play a role in what item you need to purchase. According to expert, the type of flooring you have should influence your purchase. Not all robotic mops are capable of cleaning every type of floor and it would be a disaster if the one you purchased is not compatible with the tiles or floorboards you have. You may end up needing a robo-mop that can handle a tile floor or a mop for hardwood floors. To avoid this becoming a huge issue, you can simply purchase a combo cleaner and be done with it. However, if you have only one type of floor present throughout your entire home or most of it, you can just buy one that works with that. The size of your home is yet another factor to consider. These robot vacuums are still limited in certain ways. If you have a particularly large home, the average floor mopping robot may not be able to work through all of it. Remember, a robot vacuum should be capable of working inside your home with “minimal human input” and for that to happen, the one you’re using should have a variety of automatic features. There’s no limit to how many automatic features can be present on the robot vacuum. If you can get one that can automatically pick which type of cleaning is needed for your home, how much power it needs, and also figure out how to avoid predicaments wherein it may get stuck, then that would be a great cleaner to have. Some of these robot mops will even recharge themselves. Make sure that the robot mop you’re getting comes with at least a few of those automatic features if you want your cleaning device to be as helpful as possible. I mentioned earlier that the size of your home should be taken into consideration before you purchase any robot vacuum and that’s due in large part to many of these devices having limited run time. Some of these robot vacuums may be able to last for three hours, while others may barely make it past the 1-hour mark. If your home is on the larger side, then you don’t want a robo-cleaner that will stop working way too early. These robot vacuums are supposed to work for you and make your everyday life easier. A robot vacuum that cannot run for an extended period will not be able to accomplish that. 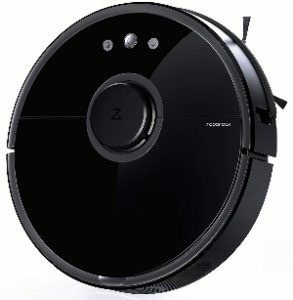 It’s now time for me to pick a clear winner in this article and after some careful deliberation, I am going with the iRobot Braava jet 240 Mop as my best robot vacuum and mop. The suction power is an obvious draw, but its appeal goes beyond that. Having the ability to automatically select the appropriate cleaning mode. It can work for an extended amount of time is really helpful. The scheduling feature is also a huge addition that you will likely end up using a lot. The issue with finding the cleaning dock is a bit annoying, but that is something you can easily deal with.